Interviews with newsmakers and influencers from the online technology and organizational communication worlds. In this FIR Interview, Shel Holtz talks with Dr. Sandhya Pruthi, the Mayo Clinic’s chief medical editor and associate medical director for Content Management and Delivery, and Jay Maxwell, senior director of Health Information, about the development of the Clinic’s new First Aid skill for the Amazon Alexa platform, how it works, how they measure its effectiveness, and their approach toward preparing for a voice-enabled world. The interview includes a brief demonstration of the Clinic’s Alexa skill. According to its website, Diva Tech Talk “is a specialized communication channel highlighting women doing wonderful things in the technology arena by creating podcasts from interviews with successful female individuals in the field and covering various technology events. It was created to inform and inspire women of all ages to succeed in professional and life missions that are technology-driven.” The podcast has also won Clarion Awards from the Association for Women in Communications in 2017 and 2016. In this FIR Interview, Shel Holtz spoke with Diva Tech Talk co-founder and host Nicole Scheffler about the show’s origins, its goals, and life as a female engineer in a male-dominated industry (and what communicators can do to help change that). In this FIR Interview, host Shel Holtz talks with Edelman’s Phil Gomes, senior vice president of U.S. B2B Digital, about his new blockchain white paper, published by the American Association of Advertising Agencies. that makes the case for marketers and communicators to add blockchain technology to the list of technologies they must understand. some of the startups whose work could change communication processes and content, as well as other dimensions of blockchain that will soon be part of communication workflows. In this FIR Interview, host Shel Holtz talks with Jen McClure about JEM Consulting’s “State of Employee Advocacy” survey, including the connection between employee advocacy and social selling, whether employees who participate in an employee advocacy should have their involvement reflected in their performance evaluations, the role of advocacy amplification apps (and whether they can constitute an entire advocacy program), and some of the challenges of maintaining enthusiasm among ambassadors once a program is up and running. In this FIR Interview, host Shel Holtz spoke with Judith Platz and John Ragsdale, research vice presidents at the Technology Services Industry Association (TSIA) about the motivation for developing the”TSIA B2B Social Engagement Rating,” the thinking behind low- and high-engagement activities, and how TSIA members (which includes the likes of Honeywell, Panasonic, NCR, Symantec, and Unisys) have responded to the rating. The risks posed by the common use of digital and social media include several that social media and marketing teams typically don’t consider. In early July, JEM Consulting & Advisory Services released the results of a new study, 2017 State of Digital & Social Media Risk. In addition to not having all the right players at the table when developing processes and policies for digital and social media, too many companies don’t even have policies and even fewer conduct all-employee training. In this FIR Interview, host Shel Holtz spoke with Jen McClure, CEO of JEM, about the study. What can be better than combining two of your passions to launch a new business? That’s exactly what David Meerman Scott did when he opened the doors of Signature Tones, which he describes as a “sonic branding studio” that he started with his partner, musician Juanito Pascual. The agency, which lets Scott apply his marketing skills to his love of music, creates sonic logos and original music designed to become as recognizable when heard as logos and trademarks are when seen. In this FIR Interview, host Shel Holtz talks with Scott about his inspiration for the company, the process he and Pascual use, a case study from one of their early clients, and some of the uses for sonic branding that probably haven’t occurred to you yet. FIR host Shel Holtz moderated a discussion featuring Sean Williams, who coordinated an effort by the Institute for Public Relations to establish standards for employee communication measurement, and three other communication measurement thought leaders: Katie Paine, Angela Sinickas, and Ryan Williams. The robust discussion reflects the challenges of trying to set measurement standards for an activity as inconsistently practiced as employee communications. Among the points of contention that emerged in the conversation: the appropriate categories for various metrics and the items that belong in each category, whether outputs (such as intranet posts or emails sent) should be measured, and the distinction between metrics that predict future employee behaviors and those that look at past behaviors. 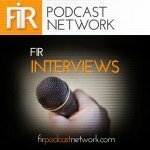 In this third FIR Interview, Sharam Fouladgar-Mercer discusses insights he has gained from four years of assessing PR efforts, including a “potential customer number.” He discusses the dramatic changes PR has experienced in the last four years and the increased demand on practitioners to deliver meaningful metrics, as well as the integration of PR with web analytics to track actions and behaviors following a communication. Sharam also talked with FIR Interviews host Shel Holtz about the pointlessness of impressions and advertising value equivalencies as PR metrics and the role Artificial Intelligence will play (and the roles it most likely won’t play) in PR and PR measurement.